Widely touted as “America’s favorite food”, the hamburger remains a fixture in our cuisine, and with good reason. An easy to grab and quick meal, hamburgers have become even more appealing among the time-crunched college crowd. But despite its popularity, we don’t believe all hamburgers are created equal. Upper Crust Food Service chefs take great pride in carefully sourcing their ingredients utilizing the highest quality meats and freshest produce. Additionally, our patties are hand-formed, never frozen, ensuring optimal flavor…because fresh really is better. We pair ours with soft buns, homemade fries, fresh, crisp lettuce, sweet, juicy tomatoes and slew of tasty condiments. 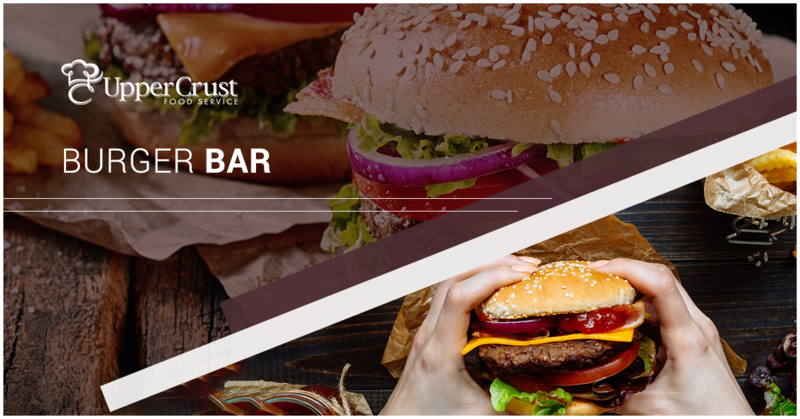 Our ‘burger bars’ remain one of our most highly requested meals. This week’s feature video will take you inside one Upper Crust Food Service kitchen as we prepare for this delicious meal from start to finish. If your chapter is not receiving quality, fresh, made from scratch meals contact us today to request a proposal and bring Upper Crust Food Service to your kitchen.